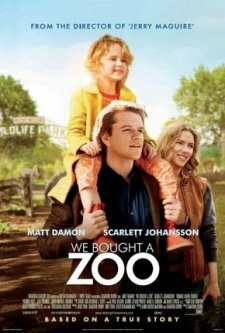 Posted on November 28, 2011, in Movie Reviews and tagged Benjamin Mee, Colin Ford, Kelly Foster, Maggie Elizabeth Jones, Matt Damon, Scarlett Johansson, Thomas Haden Church, We bought a zoo, We Bought a Zoo the movie. Bookmark the permalink. 1 Comment.